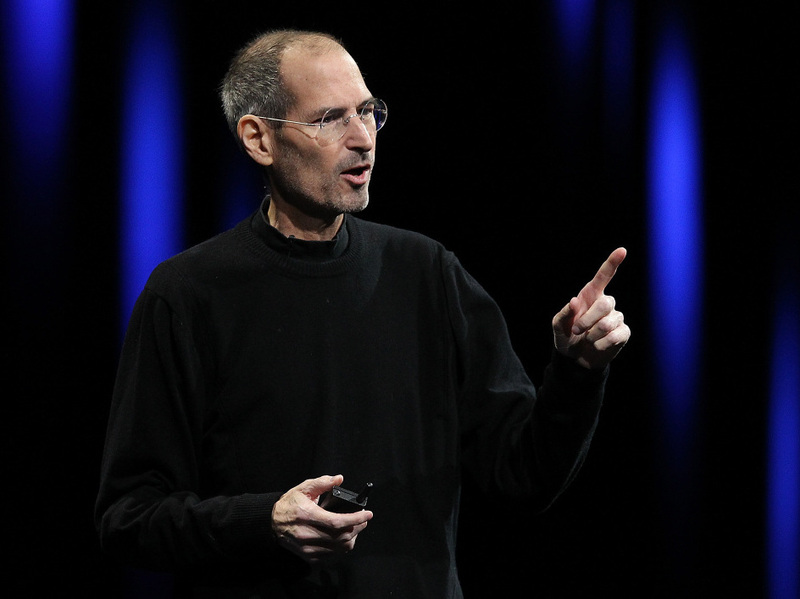 Does Steve Jobs' Visionary Style Offer Political Lessons? : It's All Politics There may be lessons for politicians (and political reporters) in Jobs' comment. What Jobs is talking about is a form of farsighted leadership in which leaders are willing take smart risks to meet needs or desires people may not even realize they have. Steve Jobs, San Francisco, June 6, 2011. His design decisions, Mr. Jobs explained, were shaped by his understanding of both technology and popular culture. His own study and intuition, not focus groups, were his guide. When a reporter asked what market research went into the iPad, Mr. Jobs replied: "None. It's not the consumers' job to know what they want." Arrogant sounding? Sure. But it's hard to argue with the visionary results. Did consumers know they wanted an iPod, iPhone or iPad without a battery compartment they could easily access? No, but they got a sleek design with that distinctive smooth feel in their hands and many other features. There may be lessons for politicians (and political reporters) in Jobs' comment. What Jobs is talking about is a form of farsighted leadership in which leaders are willing take smart risks to meet needs or desires people may not even realize they have. In Jobs' case it's consumers. But there arguably is a lesson in what he said for politicians as well. Substitute voters for consumers and you get the idea. It's conceivable that voters don't always know what they want. Or that they would actually prefer something they have yet to be presented with. We live in a time where political phrases, ads and messages of all kinds are constantly put before focus groups, where polling is non-stop. All of that assumes, of course, that voters know enough and send clear enough messages to make all that collected data meaningful enough to drive governing decisions. What if that's not the case, however? What if so much of that data from voters is noisy, sending no clear signals? Or what if voters, limited by what they know, can't see into the future enough to tell politicians there are other choices than the ones they are being offered? What if our politics would get closer to producing the governing equivalent of iPads if political leaders relied less on market testing so many of their positions and more on their instincts about how government should operate in order to achieve the kind of success with voters that Apple achieved with consumers? Of course, there are some big differences. Jobs didn't have to stand for re-election every two years as House members do. And at Apple, he had the luxury of being a benevolent dictator. There wasn't a partisan competition for supremacy at Apple headquarters in Cupertino as exists in Washington. Still, there is something intriguing in the notion that Jobs' approach could apply even in politics, to some degree. Sometimes leaders must lead those who follow to places the latter weren't even aware they wanted to go.